The whole area of Chianti around Greve is packed with castles, even more so than other parts of Tuscany, in addition to walled villages such as Montefioralle, Vertine and Volpaia, fortified abbeys and farmhouses that have developed from watch towers. Day excursions taking in several of these sights add enormously to the enjoyment of a visit to this part of Tuscany. Some of the castles are important wine producers that offer tastings and even wine-tasting lunches and dinners, while others are romantic ruins surrounded by forest. 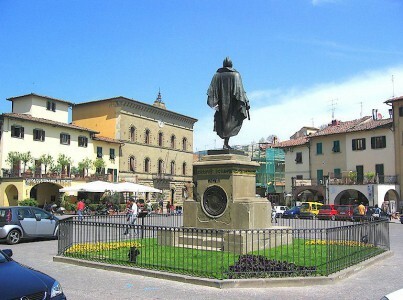 Wine tours, photography tours and cultural tours are readily available in Chianti. Then there are more exotic activities for which Tuscany is ideal, among them having your wedding in Chianti or riding in a hot air balloon. Useful tips on what you can see and do when based in Greve in Chianti, with emphasis on castles (castelli), culture and history. Things to see and do when you travel to Greve in Chianti. Castles of Chianti and Tuscany – castle sightseeing routes in Chianti. Pieve di Spaltenna, Vertine, Uliveta, S. Donato in Perano, Vistarenni. Tornano, Morelline, Cacchiano, Monte Lodoli. Gaiole, Barbischio, Capannelle, Cancelli, Castello di Montegrossi, Badia a Coltibuono. Vertine, Meleto, Rietine, Castagnoli, Starda, Monte Luco della Beraredenga, Montecastelli. Campi, San Sano, Monteluco di Lecchi, San Polo in Rosso, Galenda, Le Selve. San Giusto a Rentennano (alle Monache), Lucignano, La Torricella, Castello di Brolio. Private tours in Tuscany, Wine-tasting Tours, Taxis and Transfers. Museum of Sacred Art at San Francesco, Greve in Chianti. History of Greve in Chianti. Greve in Chianti coat of arms. The Life Castruccio Castracani of Lucca. Guide books for Tuscany and the Chianti wine area. Guide books for Walking and Hiking Trails in Italy. 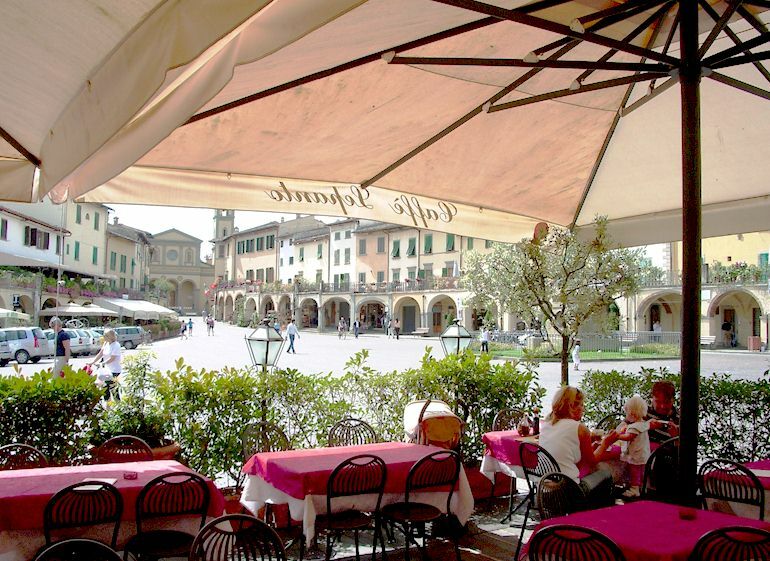 Useful links for visitors to Chianti.